Well, this isn't science fiction, but a lot of scifi readers also like fantasy, so I thought I would share. 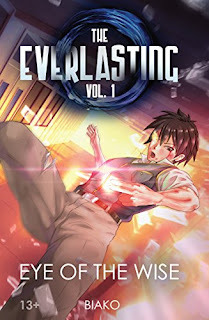 To be honest, although I rarely read fantasy, I really enjoyed The Everlasting. It’s about a teenage guy who uses warrior arts and is transferred to a school to learn magic. It sounds typical, but the way he uses magic and arts (think Final Fantasy skills) in the story is unique. The campus battle scenes reminded me of playing JRPGs, and reading the story was like watching an anime. Plus it has a good fight scene. It's only downfall is that it uses common anime tropes, but that's easily overlooked. The story keeps you interested and uses magic in a unique way, so I recommend this book.